Escape to NO. 3, a relaxing getaway resting on the edge of the Otaihanga reserve. From waking up to the sound of native kiwi birds, to enjoying starry night views from the outside spa with a glass of wine. NO.3 has everything to help make you feel at home. This spacious sunny getaway has everything that you need to make you feel at home, from unlimited wifi to freeview tv as well as a HDMI cable upon request for streaming Netflix. Each bedroom has a large queen sized bed as well as linen already provided. Revel in the scenic walkways through the reserve or picnic and barbecue at the local river. Depending on the season you can even whitebait in the Otaihanga reserve before coming back home and relaxing in front of a cosy warm fire. Local shops are only a 10 minute drive away. The property is semihosted, the host is living on the property. Most of the time out at work but easy to reach by phone. Nice garden with children plays and outdoor furniture! Thank you so much for having us, it was a lovely home away from home! The guest had arrived with young girls ( 12-14)for a birthday party which we were aware of, what we weren't aware of was that the girls would be unsupervised and wouldn't be following the house rules that the guest had agreeded upon when she booked with us. We as owners and operators have a duty to keep our property nice clean and functioning for our previous and future guests. Guests were approached to be reminded of the house rules that she agreeded to. The house is very attractive, comfortable and useable. The garden is lovely and the secluded picnic table is great for outdoor dinners. The spa is well kept and a plus for many. For overseas visitors it would be helpful to have more closet/storage space for long term stays. 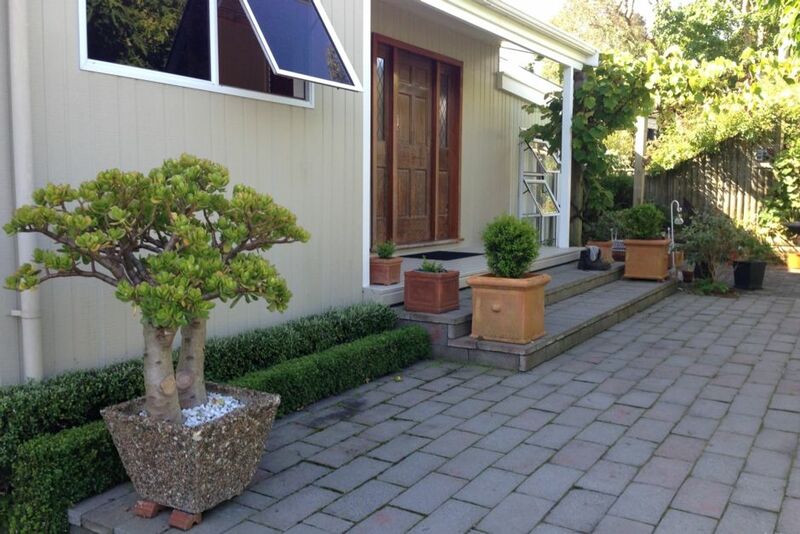 A lovely well appointed place to stay on the Kapiti Coast. Short car trips to many holiday memories if you can drag yourself away from the spa, garden, deck or BBQ!